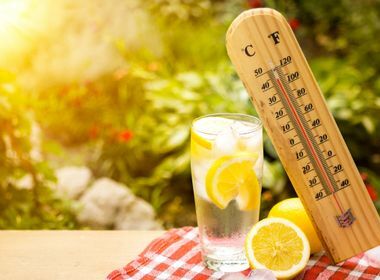 Keep your cool during the hot weather and follow these easy tips to beat the heat all summer long. Don't break a sweat trying to stay cool this summer. Follow these five easy ways to help your body, room and home stay cool all summer long. 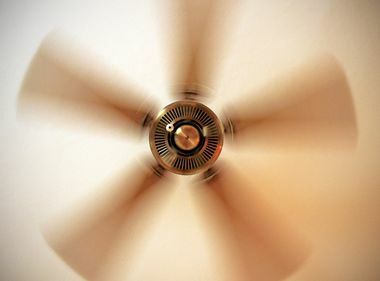 Adjust your ceiling fan to turn counter-clockwise during the summer to help circulate the cool air downward. Be sure to turn off your ceiling fan when leaving the room because fans cool people, not rooms, by creating a wind chill effect. Don't let the sun overheat your home. Tilt your blinds up and close drapes and shades on windows that receive direct sunlight. If you're outside, make the most out of awnings, trees and shrubs for shade. Check out this neat trick from Greatist on how to create your own air conditioner at home. You’ll need a pan or bowl and fill it with ice in front of a fan. The breeze from your fan will pick up the ice’s surface as it melts and will create a cooling mist for you. At night, if it's safe to do so, draw your curtains or open your window to catch a cool breeze to cool your room. Taking a shower can help your body cool down. Let your hair air-dry to help extend the cooling period of your body and maximize the cool and clean feeling of a cold shower. 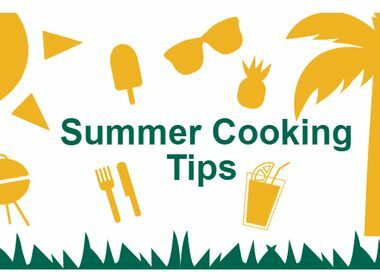 Consider using your microwave or grill to cook and prepare food. It’ll help keep your home cooler and save energy as well. You can also consider ordering take-out.